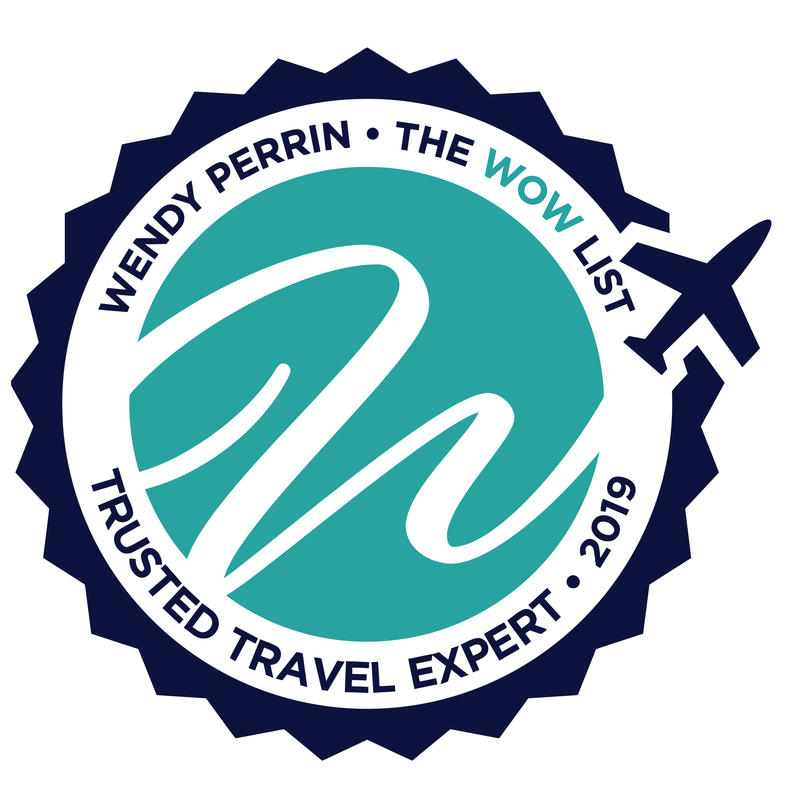 Meg Austin is on Wendy’s WOW List of Trusted Travel Experts for her expertise and connections in the Caribbean—especially as regards scuba diving—and in Colorado ski resort areas. The reviews below are from real travelers who’ve taken trips that were arranged by Meg and monitored by Wendy. Don’t miss Meg’s Insider’s Guides to Scuba diving in the Caribbean and Bahamas and Skiing the Rocky Mountains. 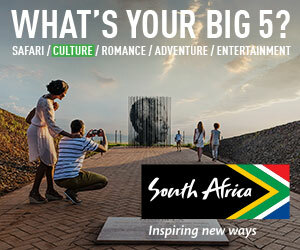 I have worked with travel agents and travel specialists throughout my adult life on trips spanning several continents and complicated itineraries. In short, Meg Austin is THE best in every aspect of planning a trip from start to finish. I’m not sure if I’d be classified as “high maintenance”—you’d have to ask Meg that—but I ask a lot of questions and require a lot of information and guidance in every step of planning a BIG trip like the one my husband, daughter and myself planned through Meg. It was our first cruise and Meg guided me through every aspect patiently and expertly. Meg knew exactly which cabins to book for us, which flights to put us on, when and how to reserve our excursions and dining options so there would be no FOMO. Meg is incredibly well connected with insiders, so she was able to pull strings to get us everything SHE wanted us to have in our tour package—items I didn’t even know to ask for, but thank goodness Meg did. She handled me with humor, grace, zip-quick responses, and was always one step ahead of me. It will take a long time to fully process and digest the breathtaking beauty of Tahiti, the graciousness of its people—including every crew member on the Paul Gauguin—and how perfectly Meg took care of my family through every step. This was a trip of a lifetime, and it’s going to take a lot to top this week. No hitches or hiccups at all, anytime, period. Once onboard the ship, I followed Meg’s guidelines to a tee and booked our dinner, diving, and excursion reservations—which were all about timing, as the ship was fully booked. No problem for us—we had Meg Austin as our travel guru. Meg could not have picked out a better cabin for us and our daughter. It was everything she said it would be—fantastic location for viewing breathtaking scenery, and the cabin amenities were wonderful. Cabin service twice daily! Fresh towels and stocked refrigerator throughout the day! The food throughout the cruise was only exceeded by the professionalism and warmth of the Paul Gauguin staff. We made fast friends with the ship’s captain, so we were treated to tours of the bridge and engine room, and of the galley with the executive chef. The only way I didn’t roll home was due to all of the activities and excursions I went on that were so well organized and staffed. The snorkeling was excellent, as were the guides. My husband and daughter enjoyed terrific dives—four divers to a divemaster, unheard of on a non-liveaboard diving trip. Nothing was lacking. Everything exceeded all of our expectations. We met lovely guests from around the world. Yes, the ship was fully booked, and there were a lot of kids and family reunions, but we did our thing and they did theirs. Maybe next cruise I’d opt for adults only, but that’s just me. Even my previously Cruise-Averse Husband was completely won over by this Paul Gauguin cruise experience. You’d have to be insane not to have felt this way. It was luxurious beyond words. We are Meg Austin lifers—if she’ll continue to have us. I actually helped some of the guests with information that Meg gave me that they didn’t know! I guess that makes me a Meg Austin protegee! I tell everyone about the Wendy Perrin website and WOW List… and I suppose I also have to now share Meg Austin as well. I have not had one iota of disappointment with either. She planned everything and had to make changes when our plans changed. Everything went smoothly during the entire process. She knew the right places, the right guides and the right resort to satisfy a diverse family group. Meg was extremely helpful and patient while arranging our travel to a friend’s wedding in the South of France. When the original hotel for the wedding was booked, she helped us make alternative plans and continually contacted our first-choice hotel until they were able to accommodate us for our entire stay. She was proactive, quick to answer emails and followed up with us before and after our trip. We enjoyed working with Meg for a second time and definitely plan to use her in the future. I can’t say enough great things about Meg. We have just gotten back from our third trip arranged by her. She went above and beyond the call of duty to make sure everything was perfect for us. She took calls on her day off and made magic happen. We vacationed in her backyard ( practically ). Her insider knowledge helped to make us feel like locals rather than visitors. I recommend Meg in a heart beat. Meg Austin planned a fabulous Spring Break vacation on relatively short notice for our group of 10 – two adult couples and six teenage girls. She personally vetted our accommodations – Villa Yuum Ha at Hotel Esencia, sending me her own photos and emailing and calling to explain the house’s unique floor plan. The house and additional beach house worked perfectly for our group. The full staff at the villa met our every need, and the staff at Hotel Esencia also checked on our group regularly. Meg arranged 2 excursions for the group. The first was a trip to the ruins at Tulum and to dive in Dos Ojos cenote. The second was an open water dive off the coast at Playa del Carmen. The Cenote and Tulum were a little overrun with tourists, but the outing was still a success. The guide at Tulum that Meg arranged was excellent. The dive guides for our open water dive were also very professional and attentive and helped make our entire group comfortable on a pretty advanced dive. The beach at Xpu Ha bay is beautiful – practically private, with perfect white sand and clear blue waters. We would all return to this location and I would definitely use Meg to book another trip in the future. We just returned from a trip to Playa del Carman that Meg arranged for my husband and I. It was our first time using her and we couldn’t have been any happier with everything! Meg asked us what we were looking for in the trip and then came back with options that filled those categories perfectly. We loved the all inclusive we stayed at, and being in Mexico made us realize that with the overwhelming amount to choose from we could have easily ended up at one that wasn’t at all what we wanted. Meg has such a great knowledge of the resorts there that we trusted what she recommended, and we absolutely loved it. The private excursion she set up was incredible, we loved our guides and felt well equipped for our adventures. Basically, every detail that Meg had her hand in was amazing. We sang her praises every day we were there. We will always work with her in the future. You just can’t beat her knowledge and experience. We have been working with Meg for the last decade, and value her insight and experience. My wife has had some very serious health problems. It has radically changed our outlook on vacations. While I am sure many people look for adventure on vacation, we value safety, comfort and convenience. Meg has gone to great lengths to make sure that my wife is comfortable and well cared for, and that if problems arise, we can get home quickly and safely. I have known Meg since the 1970’s. She has been my trusted and valued travel agent for many years. Her vast knowledge and experience has guided me and my wife to destinations all over Mexico, Central America, Caribbean and parts of Europe. We just returned from Secrets in Costa Rica and it scored (in my strict standards) a 9.28 out of 10! It was perfect. Our dear friends (whose mother was a travel agent for decades) also raved about this specific Costa Rican resort. Meg is straight forward and wants to make sure her clients are well taken care of. I strongly recommend Meg for any adventure you might be contemplating. Smit in Woodinville, WA. Meg is incredible! My wife and I have booked many vacations with her and I would not consider using anyone else. Cancun, Cozumel, Cayman Islands. She does it all. This past trip she got my family the absolute best room at the entire hotel at the Iberostar in Playa del Carmen. She also had a private limo pick us up at the airport and take us to the hotel. Total surprise on both accounts but that’s the kind of service she provides. Only the best. Use her for your travel and you will NOT be sorry! Wendy, thank you for recommending we use Meg Austin to put together our 2-week vacation to Hawaii. We used Meg for our trip to Mexico after Christmas, and she did a bang-up job on that. When I contacted you about whom you recommended for Hawaii, you suggested I use Meg again. That was outstanding advice. She put together a trip for us that ran perfectly. She got us a third free breakfast each day for our daughter who was sharing our room at the Fairmont Kea Lani. Each activity she booked for us was well run and professional. The rooms she got for us were superb. I have used your recommendations for travel specialists worldwide and have to count Meg as one of the best. No one could respond more quickly on email. Thanks, Wendy, for being such a wonderful resource for travel specialists worldwide. I recommend your site to all of my friends. We have traveled all around the world with our 3 boys, and could have never done it without the wonderful help of Meg Austin. She is smart, honest, determined, and works tirelessly to provide the most amazing adventures! We have experienced cultures, learned about history, religion, politics, and the local traditions of many countries, and she never ceases to amaze us. On the rare occasion that something goes amiss, she is on it immediately to resolve any issue and her follow up is impeccable. Always looking forward to planning another get away with Meg! Meg Austin was very knowledgeable about where we could travel to meet our varied needs (beautiful sandy beaches where we could just walk into the water and see lots of sea life while snorkeling, yet a full service, higher end resort). When we were flying home, we were already at the airport when our flight status was changed to “delayed”. We weren’t getting much info from staff so we contacted Meg and she immediately got to work and found out why and approximately how long we would be delayed. Meg was a great asset to us. Meg Austin has been one of the most responsive, smart, and pleasant travel specialists that I have ever had the pleasure of working with and I have worked with quite a few. I cannot recommend her highly enough. I just wish she was a travel specialist for the whole world, so I could always use her for our travel needs. Meg helped us plan our honeymoon in the Riviera Maya (Mexico) in August 2015, and her recommendations were great! I’ve never used a travel agent before, but will definitely do so going forward—we got a lot of perks (e.g., upgrades, spa credits, etc.) that we otherwise would not have gotten. The trip was incredible! Meg Austin was terrific to work with in planning our trip to Vail over the July 4th weekend. She was able to help us with reservations and, using her clout, provided us with lots of perks. She was timely in communication and follow-through. Meg offered us her advice while simultaneously honoring our needs. Before crafting the trip she spent a lot time with us to understand what we wanted to get out of our vacation. Her recommendations were spot on. The only glitch (out of her control) was with the car rental company. I would certainly work with her again, not only to plan trips back to Colorado, but to the Caribbean, which is where she was doing research while we were in her back-yard.